The best place to be during winter is inside, rugged up and cosy. Unfortunately, old houses can wreak havoc on the best laid plans, and as a landlord there are numerous issues that can arise which require your attention. In this article, we will discuss a few of the most common winter property problems. While many people don’t realise it, roofs need to be maintained regularly. Old roofs can start losing tiles, accumulate debris in valleys, or become rusted around bolts. It’s important to regularly inspect your roof, but many of these checks get missed during the buying and initial rental phases. There are a few days of consistent heavy rain during winter that become apparent, and when water is leaking into the house, the problem is quite severe. Roofing problems escalate exponentially, and it is important they are dealt with quickly to avoid costly repairs in the future. In the same vain as leaky roofs not being apparent until the water is flowing through them, broken heating systems won’t be obvious until someone tries to use them. As a landlord, heatering systems are often supplied as a chattel or appliances with the rental, and therefore it is your responsibility to maintain them. Tenants are liable to become grumpy if they are stuck in a cold house when they paid for a working source of heating. The best way to avoid getting stuck with a long delay in repairs is to have your property management team check all of the chattels and appliances thoroughly during initial property inspections. Some storm damage is often unavoidable. The forces of nature can be extreme, and with climate change storms are likely to become more intense and irregular, leading to all sorts of unforeseen outcomes. 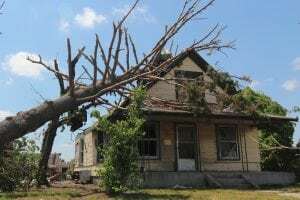 A lot of storm damage, however, is preventable with good property management. Roof inspections are a great way to isolate and repair loose tiles before they fly off and wreck someone’s car. Another excuse for a roof inspection is to clean gutters, as gutters filled with debris can make it easier for water to get into the roof space. A tree inspection from a qualified arborist can identify problematic overhanging branches and develop a plan to remove them. Walker Weir are experienced property managers in Auckland. We manage a plethora of properties and have an exceptional list of tradespeople on call for all manner of inspections and repairs. We are also persistently thinking about how best to manage the property owner’s interests, which means we are thorough with our regular inspections to catch minor issues before they become expensive problems. Call us today on 0226579432 or contact us online.